As we near the end of the year, it’s time to take out our crumpled dinner napkin with scribbled 2018 resolutions and begin ticking off the items we accomplished this year and sighing about the ones we didn’t (those extra 20 pounds are still lurking around). 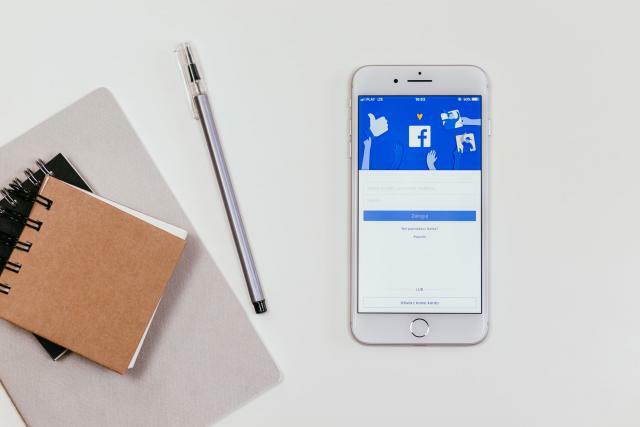 But as we flip the napkin over and begin our 2019 goals, there is one item we ought not to forget: Facebook Advertising. The beauty of Facebook is that you can actually create an entire funnel in one platform using different audience types for each phase starting with demographic targeting and ending with precise remarketing audiences. Keep reading to learn how to fill your funnel on Facebook. In the top of the funnel, you have free range to choose your dream audience using Facebook’s Ad Set targeting. From here, you may select age range, gender, interests, page likes etc. The world is your oyster. Your ad should be the engaging and educational. Remember that these users most likely don’t know your brand, so you need to reel them in with eye-catching content. The goal of this campaign is to get users to interact with your brand; any purchase or sign up is just an added bonus. For your middle of the funnel offer, you will only be targeting users who showed interest in your brand. This will include blog page visitors, video viewers, email sign ups, or content downloaders. By limiting your campaign to only these users, you can expect higher interest from the audience, which will result in higher clickthrough rate, higher conversion rates and lower CPAs. In your ads, you will promote your core offering, but this phase is only focused on getting people to micro-commit to an add to cart or a landing page view so that you can continue to feed them through the entire funnel. This phase should bring in core conversions and have a stronger ROI. However, this is not the final phase of the funnel. Targeting: Remarket to users who have added to cart or viewed your landing page in the previous phase. Be sure to exclude converters. Day 1: This ad set will target users who visited your page that day. These users are still in a hot buying mindset and should not take too much convincing. If you are an ecommerce advertiser, this is the perfect place to run a dynamic product ad (DPA). The language should be around returning to the cart or “finishing signing up.” Be sure to test a few variations in this ad set so that your frequency levels don’t skyrocket, and you are not spamming the same ad to this audience. Day 2-3: A few days have gone by and now your potential customers need a little incentive to choose your product. In this timeframe, you should consider offering a discount or highlighting that you’re offering a “FREE” consultation or trial. P.S. dynamic product ads still work great in this phase. Day 4-7: Provoke post engagement. Try to encourage users to ask questions in this stage because they are most likely confused by your offering or still comparing you to competitors. Think about including FAQs in your ad copy during this time to proactively answer questions people have. Keep your discounts in this phase. Day 8-14: Remove your discount, but try promoting a lead gen ad with a giveaway or a free month of your services. This will show you what users are truly still interested in your product because they will be the ones that fill out the form. You can use these leads for remarketing later. Day 15-30: These users have now lost all chances to save dollars, but to keep them around, consider promoting a cold offer and funnel these users to a new audience to remarket to occasionally. Top of the funnel offers work great here and allows users to reengage with your brand with no commitment. And just like that, you have created a fully functioning sales funnel all within one platform. The greatest part about this funnel is that it runs seamlessly and allows you time to test ad variations, audience segmentation, and new offers without the hassle of creating new campaigns every time. If Facebook hasn’t made its way to your dirty old napkin yet, do yourself a favor and get to scribbling, but maybe grab a new sheet of paper this time. New year, new you. Contact us to learn more.